Learn how to repair, maintain, and fix a Jeep Wrangler. Discuss your Jeep's issue or problem - get advice or tips. This web site is about the things I have done to fix, repair and maintain my 1995 Jeep Wrangler. I have written, step-by-step, all of the processes that I had to go through to replace and/or repair parts on my YJ Jeep Wrangler to keep her running and to make improvements and modifications. I have also included some price comparisons and places that I trust to find the parts and accessories that you might need for your CJ, TJ, or YJ Jeep or other off-roadding vehicle. 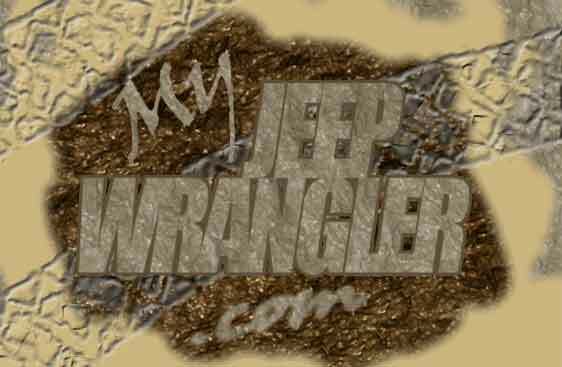 I have also included places to purchase cheap Jeep parts and quality jeep wrangler parts. There are already some free Jeep wrangler repair videos on this web page, but I intend to add many more free videos, so that you will have an easier time than I did trying to figure out how to repair your Jeep wrangler. The following pages are full of pictures and information on how to fix, repair, and maintain your Jeep wrangler. Jeep wranglers are very popular and easy to work on. I have added some links to places that I go to purchase my parts and buy cheap accessories, such as tires, wheels, lights, batteries, starters, winches, drive shafts, soft and hard tops. May this site be very useful to you and your Jeep Wrangler loving friends!